ZANU PF has approached some officials of the opposition Movement for Democratic change in a bid to ‘buy' them to contest Nelson Chamisa in the forthcoming Congress penciled for 2019. The revelations were brought to light by Chamisa after Presidential spokesperson George Charamba announced on nation Television ZBC TV that as government they are going to make sure that Chamisa is heavily contested at the congress. "We know how our colleagues in ZANU PF have set aside resources and are reaching out to some MDC comrades to work with them." Chamisa revealed. "Hakuna mweya wakaipa usina svikiro!God is good all the time." 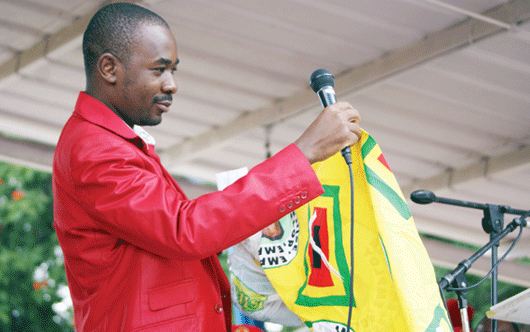 Chamisa further said he is a consistent leader and will not be deviated from the MDC agenda by the ZANU PF plans. "What you see is what you get with me. Those who know me well know that I don't indicate right and turn left. I am sincere and genuine." He said. "Yes, I am not entirely perfect but to err is human. When I make a mistake it will be a genuine mistake and without malice." Chamisa is likely to face stiff contest from Vice President Engineer Elias Mudzuri and Secretary General Douglas Mwonzora who have indicated that they are willing to contest for the President's positions were nominations are open. Chamisa is accused of grabbing power in a controversial manner after the death on Veteran opposition leader Morgan Tsvangirai in February 2018.